SOUTHWEST HARBOR, Maine — Charlotte’s Legendary Lobster Pound, a local eatery in Maine, has been offering a strange item on their menu: “smoked” lobsters that have been administered marijuana before their deaths upon customer request. According to USA Today, Charlotte Gill, the restaurant’s owner, has been using a method she invented herself after experimentation on a lobster she named Roscoe. After feeling bad about the pain crustaceans may feel as they are being boiled alive, Gill placed Roscoe in a covered box with two inches of water and pumped marijuana smoke into the box. From her findings, Roscoe, and his other lobster brethren, became calmer and ceased using his claws as a weapon. Roscoe was eventually released into the ocean, but Gill’s controversial methods have been cited as half-baked to say the least. Though most would suspect there are no official studies on behalf of the effects of marijuana smoke on lobsters, The Log reached out to Animal Welfare Institute (AWI) for a scientific perspective. “The Animal Welfare Institute is aware of no credible scientific evidence which demonstrates that exposure to marijuana smoke has any impact on the ability of lobsters to feel pain when boiled alive,” DJ Schubert, a wildlife biologist with AWI, said. Schubert reiterates that the live boiling method used to cook lobsters is the dilemma. “While AWI appreciates the concern Ms. Gill has for the pain the lobsters who are boiled alive at Charlotte’s Legendary Lobster Pound and her efforts to try to make the cooking process more humane, the only way to prevent the suffering and pain associated with being boiled alive is not to cook lobsters using that method,” Schubert added. Though Gill may have good intentions, her own research may be missing the mark. 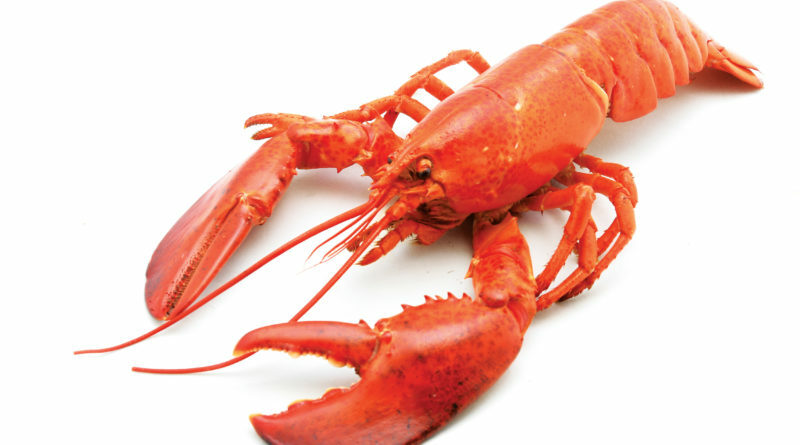 European countries, such as Switzerland, have legally banned boiling crustaceans as there is now growing proof that lobsters and crabs feel pain. Chefs in countries with bans are looking more towards seeking humane slaughter methods, protecting food sources from pain and providing them with a decent quality of life leading up to death. We much appreciate your interest in our story. in the near future we will make available side by side video footage on our website showing the PROFOUND difference our practice makes for the lobster. This, before the product is available to the public next month. We are moving forward and hope that projects like this lead to discussions about how cannabis can be incorporated into all areas where life is taken as it truly makes the passage a far more compassionate one. Again, thank you for your interest in our story.